Death is something very traumatizing, especially for those who still stay on earth and have to live with losing someone they love. It can also be a very spiritual, and usually also a sociable thing where people come together to mourn. 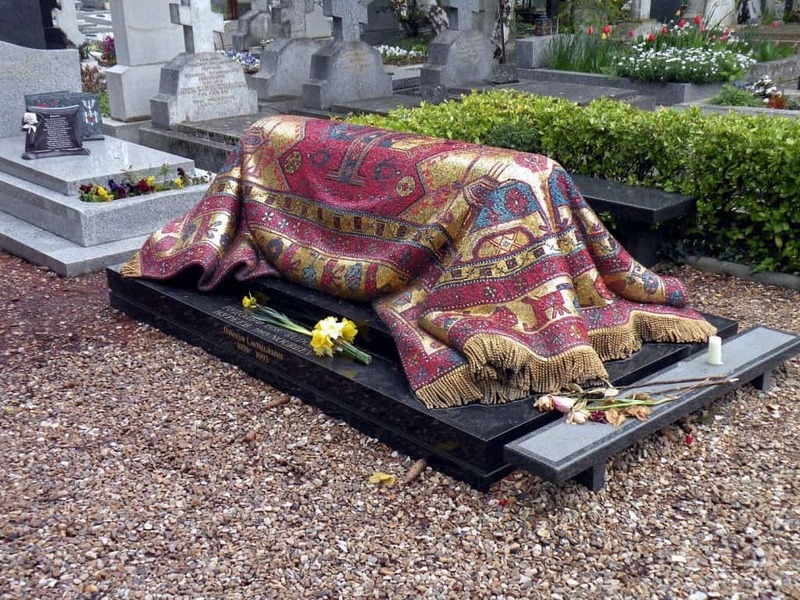 How people treat their dead is one of the greatest ways to figure out new things about customs and culture as well as art and hierarchy in the society. That’s why it’s not that surprising that among all the cultures that exist, there’s also a few that treat dead in some pretty bizarre ways. 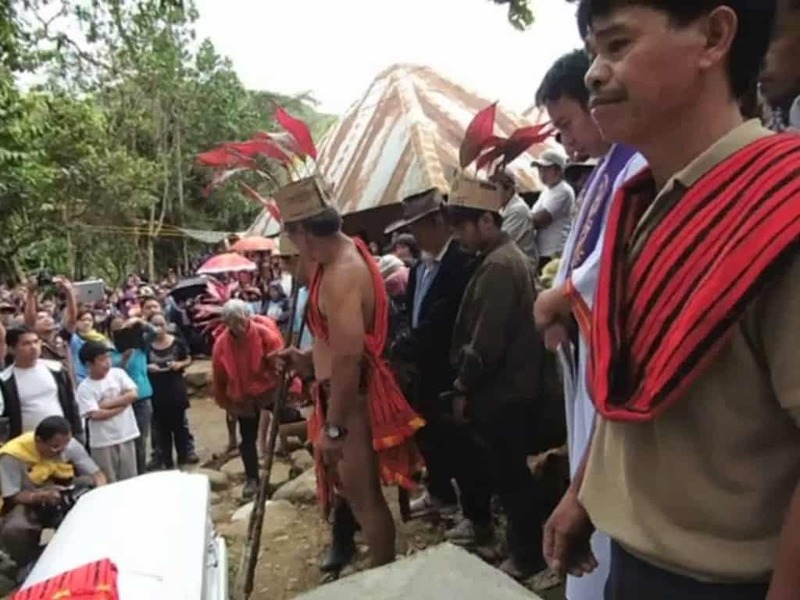 A native tribe from the Philippines, called Ifugao, mourn their dead by propping the deceased’s body up on a chair for a week. After that, the body is washed and prepared to be set up in from of the house so it dries out while the family stays completely away from the body. Before the actual funeral, the body gets the skin peeled off completely. 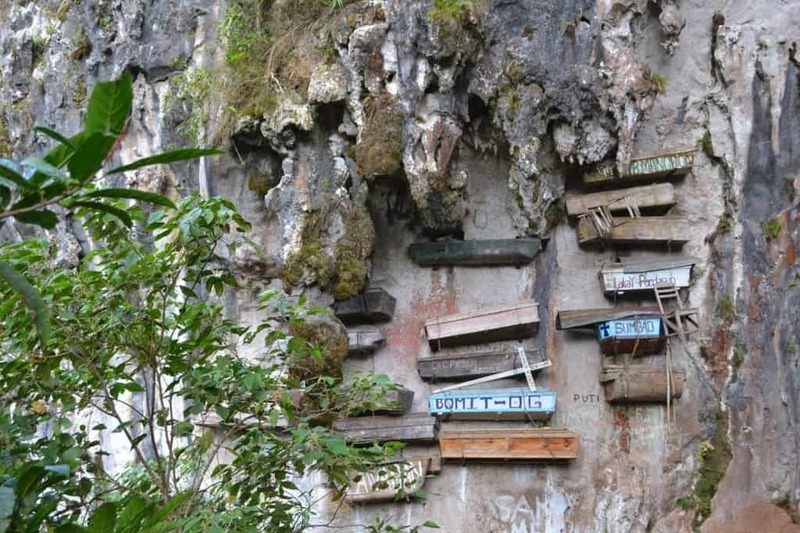 Itneg tribes also lives in in the Philippines and has some rather unusual ways as to how they bury their dead. To prevent evil spirits from damaging the body, pig intestines are hung outside the door as long as the body is displayed for the mourning village. Alongside that, a chicken is also killed and hung next to the body. Maybe the most interesting custom of all is the rule where the spouse of the dead must sleep in a fishing net for three nights in order to escape the spirit who tries to bring death to the husband or wife. Aseki district of Papua New Guinea hosts a tribe that is known for cannibalism. When someone dies, they drain the fat from the body and later use it as a cooking ingredient. Tonga is the last remaining kingdom in the South Pacific. What’s really interesting about their funerals isn’t the traditions linked to commoners, but to the kings. The mourning period for kings goes on for 100 days. The people who are allowed to prepare the king’s body are called “sacred hands” and are treated as second coming of the king after the kings dies. 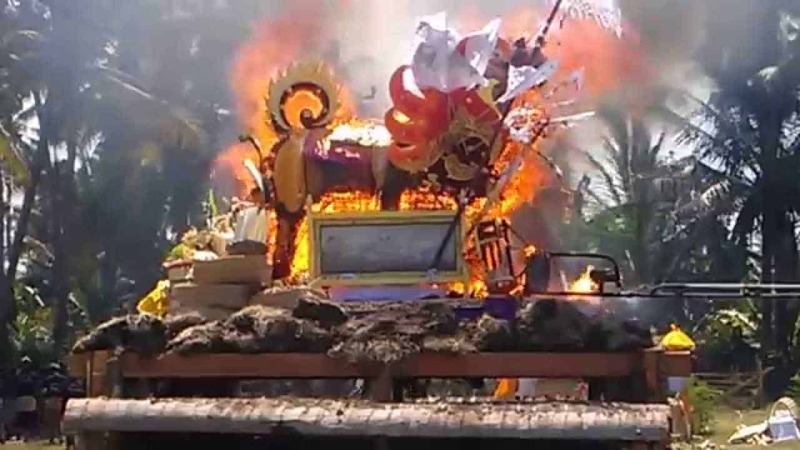 Ngaben funerals are performed on the island of Bali and their main goal is to to cleanse the spirit of a deceased person. People don’t acknowledge the dead as dead but rather as someone just being asleep. 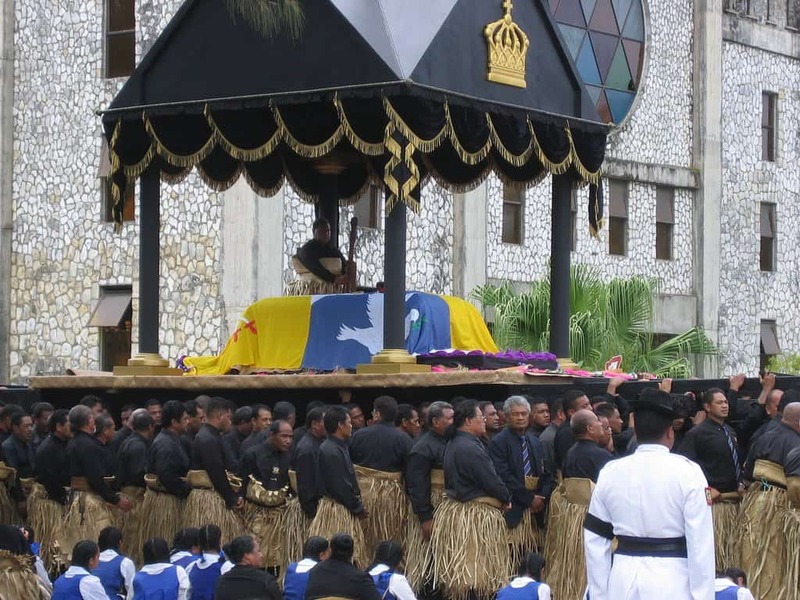 The funeral happens when the body is put into a intricate and beautiful tower that can be up to 30 ft high. The tower is then lit on fire. 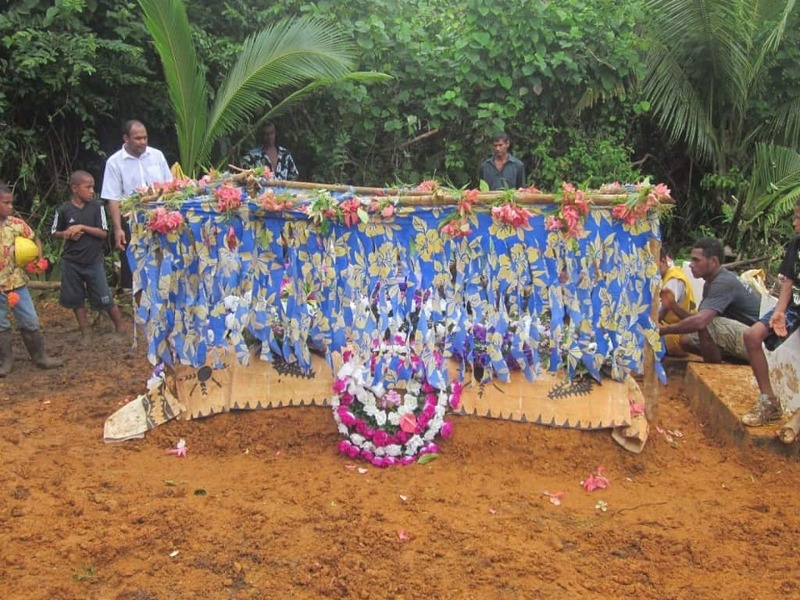 Fiji has some rather interesting death customs. One death tradition is the killing of healthy family members, when the other members of the family decide they don’t want to have to tolerate that person any more. They either strangle the chosen one or bury them alive. Then, if someone was especially close to the deceased, they might go for placing themselves on fire in order to sacrifice themselves as a way of mourning. The final stage is strangling people that he deceased was close to during life so that they can accompany them in the after life. 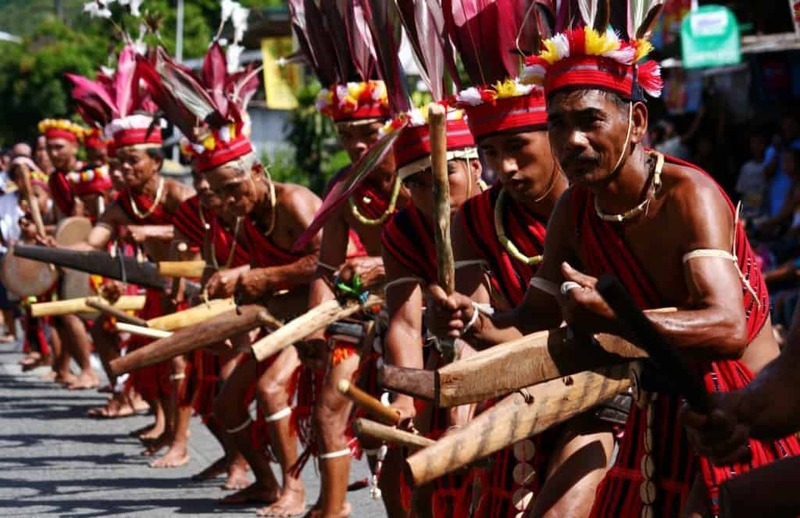 The Caviteno tribe lives on the island of Luzon. They are the only group in the world that buries their dead inside of a tree. The tribe believes that the trees give us life so we should do the same by giving our bodies to them when we die. 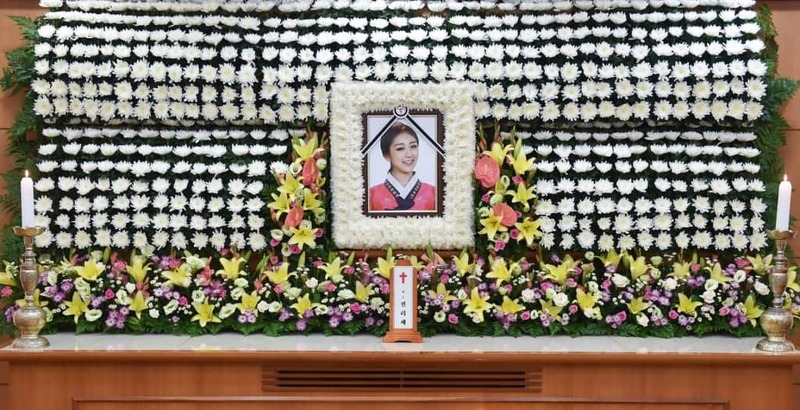 In order to save up the burial space, South Koreans mostly opt for cremation. However, that also makes the families not so happy as they don’t really appreciate turning their loved ones to ashes. That’s why several companies provide services of turning the ashes of cremated bodies into beads that come in any color and size you want. The beads are then displayed in glass pots in family homes. 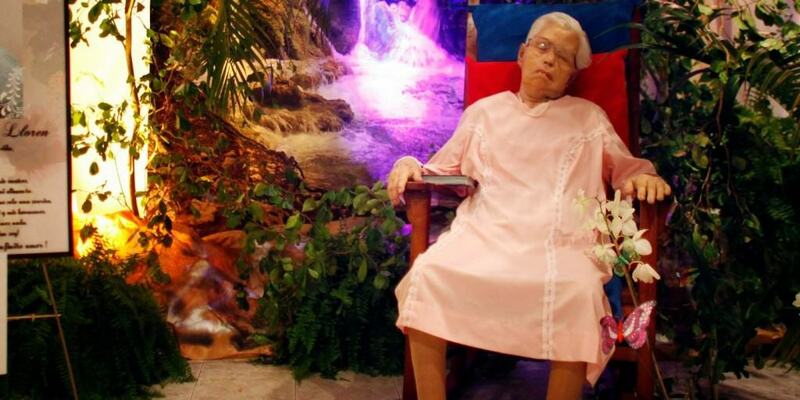 El muerto parao is a new thing in Puerto Rico where families don’t go for open caskets any more but decide to prop up the corpse on a chair in the middle of a diorama representing the person’s life. That way families can take photos with the body and make a whole show of the person’s last outing. 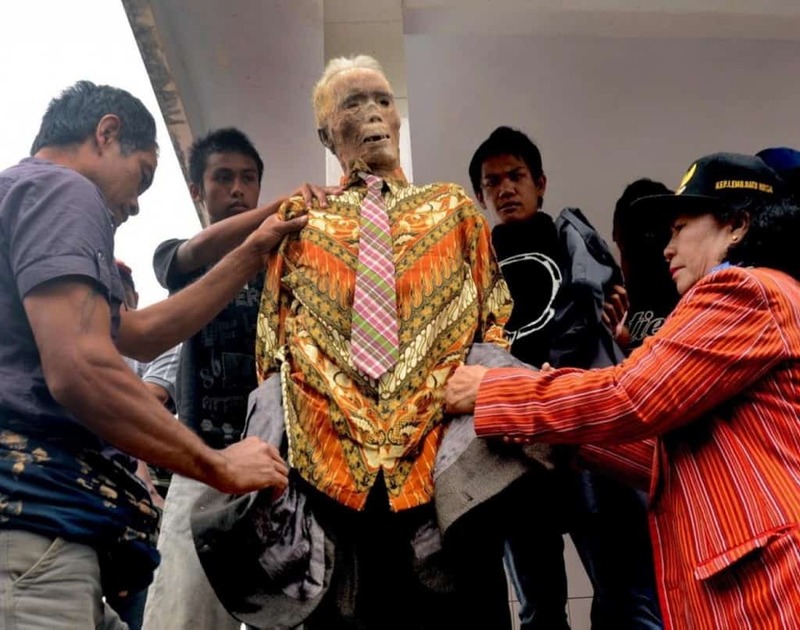 The Torajan tribe in Indonesia have probably the most unusual funeral customs in the world. They do not go for one funeral, but rather repeat it every three years by taking out the corpses of the deceased and parading them around the village. They exhume the bodies, clean them, dress them and spend some time with them every three years.